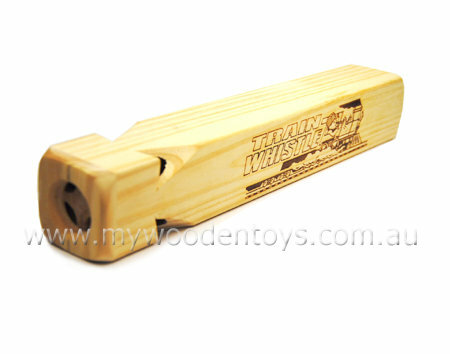 Wooden Train Whistle is a lovely solid toy train whistle with a gentle four tone sound. This toy whistle makes a long toot toot noise like a train whistling in the distance. This is a solid wooden whistle with an instantly recognizable sound. A great little musical toy which won't drive you nuts. Size: 19cm long x 3.5cm wide. We like this because: "A wonderful sound ... All Aboard"